Embroidered Eiffel Tower pattern lunch tote bag.Take a break from work, sit back, relax and unpack your lunch. The tote sports a modern graphic design of white Eiffel Towers set against a backdrop of pink hearts and white dots. Fun and frivolous, it is ideal to hold your sandwiches, treats, drinking bottle and snacks. The handle on the top makes it easy to grab-and-go and the pink zipper securely seals the contents inside. You can pair this lunch bag with a matching backpack search item MS-20169 for a great weekend-away travel package. Monogrammed Eiffel Tower theme lunch tote bag measures 9” height x 11"wide x 4” deep. Easy clean micro-fiber fabric, the interior can be cleaned with damp cloth. 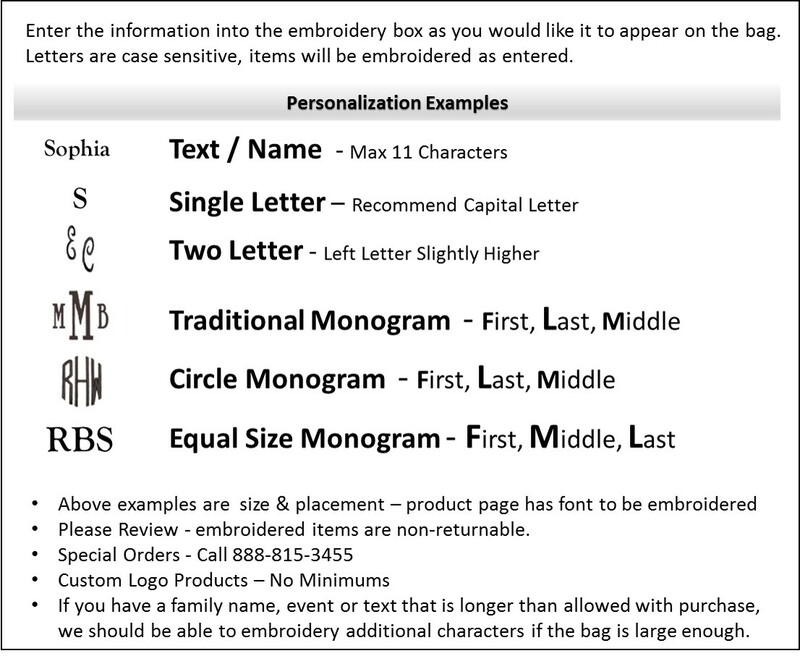 Add name or monogram for personalization.